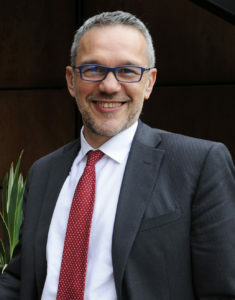 Danilo Bonato, General Director of Remedia. Remedia has already been working for some time in view of the entry into force of the WEEE Open Scope and has been committed to inform and support both its members and companies that for the first time are facing this theme. To this end, the consortium has signed three agreements with Assolombarda, Federazione ANIMA and FederlegnoArredo aimed at supporting the associated companies in defining the application scope of their products and facilitating their registration in the Register of the EEE Manufacturers. “With the extension of the application scope – explained Danilo Bonato, General Director of Remedia – also the WEEE collection and recycling will increase. This means some important aspects: from the socio-economic point of view, up to 15,000 more jobs, over 100 million euros of economic value associated to the avoided emissions and 1,250 million euros of savings in the purchase of raw materials are estimated. Remedia will continue to support producers and operators to develop the most suitable strategies to face the changes, in support of a strategic industrial sector – the recycling sector – which can represent a fundamental driver for Italy. The European objectives and the current regulatory developments are not (and should not be) an obstacle, but rather an opportunity for growth and an opportunity for development not to be missed”.